For years now, my Twitter rule-of-thumb has been to always keep my audience in mind when I tweet. I often ask the question “how is this of value to my followers, or to the individuals I’m interacting with?” If I can see value, I send it; if it’s a bit weak, I think twice. Sure I’ve sent out some garbage tweets over the years, but for the most part I think I’ve been pretty consistent. Essentially I’m trying to share content that is worth consuming and sharing, but I’ve never really stopped to think what percentage of my tweets are “worth reading” according to my readers. A recent study that appeared in the Harvard Business Review suggests that only 36% of the average users’ tweets were actually “worth reading”, leaving the remaining 64% to be either “just OK” or “Not worth reading” at all. This study asked 1,400+ users to rank 40,000+ different tweets, and they were able to compile a list of the best and worst “types” of tweets. There were a couple surprises in there. First, “random thought” and “self-promotion” tweets were most popular. I would have thought that these would have been considered useless or too self-interested, but it turns out that the “random thoughts” are often good for a laugh, and self-promotional tweets are welcome when they link to useful resources and information. Another surprise is that “conversation” tweets ranked as one of the worst types of tweets. It appears that most Twitter users don’t appreciate public conversations between a few people. Personally, I like these tweets. I love having open conversations on Twitter. I will use a RT to provide the context of the conversation and add my additional thoughts as well. I often find that others who were not in the original conversation will chime in to further the discussion and offer new points-of-view. What percentage of your tweets do you think are “worth reading”? 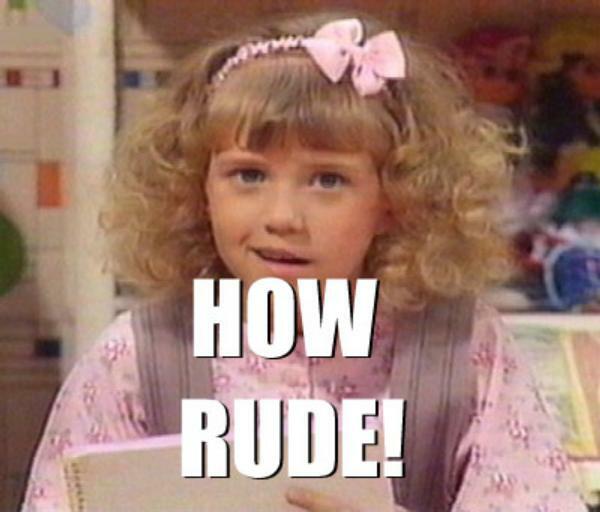 It took 5 days, 43 tweets, 2 direct messages, 1 blog post comment, and Rogers Communications (Canadian Internet, Mobile, and Cable TV provider) determined that my OnDemand service outage was my fault and I was NOT to be compensated for the blackout in service. Any social media community manager would agree that this is not the ideal customer experience. Regular www.davidhallsocialmedia.com readers know that I take customer service very seriously; whether I’m the service provider or service recipient. Social media is great way to engage with customers to deliver customer service and eventually turn these “complainers” into “brand advocates”. But my latest experience with Rogers leads me to believe they just don’t get it. It all started when I tweeted @RogersHelps when my OnDemand TV service wasn’t working properly. Without getting into all the mundane details of my Rogers service outage (you can read all of the tweets at the end of this post), I was shocked by way Rogers “Customer Care” team was mishandling my issue using social media. Instead of satisfying me as a customer, each interaction made me increasingly more frustrated and dissatisfied. When you establish a Twitter account specifically for customer care, you establish the expectation that your employees will actually help customers in a useful and timely manner, so you better step up. 2. Not asking for the solution. After I fixed the problem myself, and told them so, at no point did they ask me what went wrong, even though they had “never experienced this sort of problem before”. They missed a great opportunity to learn a bit more about their product and how to better deliver customer service, but they didn’t care to ask. I’d be happy to share. 3. Not apologizing for the issue. At no point did they apologize for the service outage. Eventually, after 2 days of tweeting, they apologized for “how frustrating this has been for me,” but never for the initial issue. 4. Saying the outage was my fault. Aside from this not being true, it’s not a good idea to imply that it is the customer’s own fault for a service outage. 5. Not offering any compensation. Sometimes you need to show the customer that you are sorry, and that you value their business. I’m not asking for a year of free Internet service (although that would be nice). Just a token to say “sorry” and we really appreciate you as a customer goes a long way. Rogers could consider a free on demand movie rental, a month free service, or even give me access to the promotional deals that are for NEW customers only (another sore point for many Rogers customers). 6. Being non-responsive. I give them credit for responding relatively quickly to my initial tweet, but once we got into the conversation, they were very, very slow to respond. I often had to re-ask, and follow up with them on the outstanding issue. As a customer service experience, they were not very helpful. 7. Bouncing me around to several representatives. I interacted with 5 Rogers employees, each time having to re-explain my issue. Once the lines of communication were open, they should have had one person own this file. 8. Not knowing the user. When you are delivering customer service through social media, it’s very fast and easy to get a snapshot of who you are talking with by doing a quick scan of their profile. Knowing just a bit of information about their user can help the customer service representative tailor his/her service to each client’s needs. My complaints are in no way more important than the next Rogers customer, but a quick review of my blog and tweets would let them know that I take this stuff very seriously, and they could reasonably assume that I wouldn’t “just go away” if I was ignored. 9. Trying to take the conversation offline…5 times. There are several reasons why a company would want to solve a customer service issue in the public sphere of twitter. For example, they would then have a documented solution to the problem others could source, it would be a demonstration of the great customer service, and the online resolution would enable ReTweets and “thank you’s” from satisfied customers. I agree that there is time and a place to take the conversation offline, especially when dealing with confidential information, but Rogers attempt to get my service outage complaints off of my public Twitter timeline 5 times. They asked me to call them twice, and switch over to DM three times. The only DMs I sent them were to share my phone numbers. I understand that it’s impossible to satisfy 100% of your customers 100% of the time, especially for a big business. Companies are made up of people, and people make mistakes, I understand that. Often times, however, customers are not overly upset with the initial mistake, they get more upset with the way it was handled. In this case, each time Rogers apologized for my “frustration” made me more frustrated. 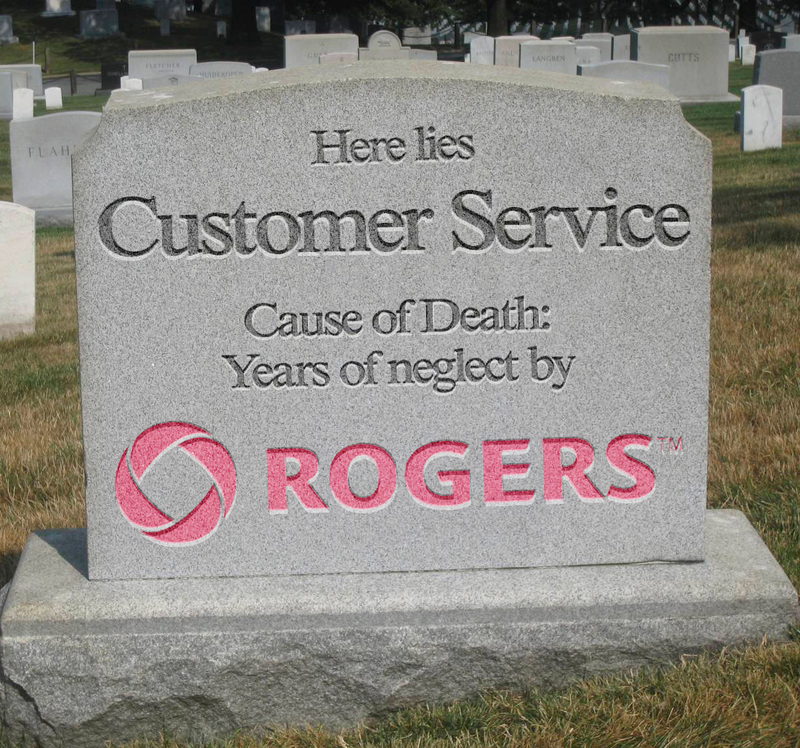 Is it Time to De-Occupy Rogers Mobile (With a hammer…)? I’ve written this post before, at the end of 2010, the last time Facebook made a significant update. Every time Facebook unveils their new innovations, users get up in arms and turn to Facebook itself to vent their frustration. I can understand the shock that some people feel when the login to see that their photos, news, friends, and lists are not in same place. Facebook has updated their service a lot over the past few months, including new subscriptions, news feeds, mobile versions, games, photos, lists, and more. Change is good. News ticker: It’s that little box on the top-right side of the page that follows you as you navigate around the page. It keeps me posted on the minute-by-minute updates from friends and I don’t have to click back to the main news feed to see the updates. I like it. Better lists: We have Google+ Circles to thank for this upgrade. Facebook has gone one step further and has started to suggest how to categorize our friends. Though, they can’t get it 100% right with their suggestions, I like to have a place to start from. Subscribe button: This is another page out of the Google+ (and Twitter) playbook. You can now follow anybody on Facebook, without having to be their friend, as long as they have enabled their subscribe feature. I’m still experimenting with this and don’t know if I’ll keep it. Privacy: They claim to have added a “new suite of safety tools” to the network, including advanced security settings, and tools for families. Before you go any further with the new Facebook, it’s a good idea to revisit your privacy settings to make sure nothing has been unknowingly changed. 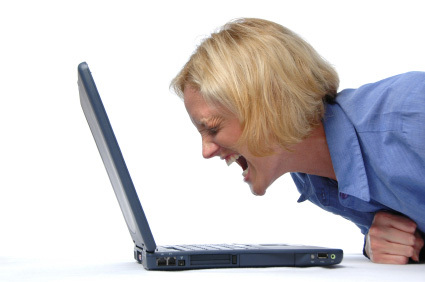 I do this after every Facebook upgrade. User backlash: It happened in 2008, it happened in 2010, it happened in February of 2011 with the photo viewer update, and now it’s happening again. People are freaking out about the upgrades. I would encourage those who are upset to take a breath, give the new features a try, and then decide if they work for you. If you don’t like them, don’t use them – that sends a message to Facebook. Remember, this type of upgrading is essential. If we were faced today with Facebook as it existed in 2006, surely we wouldn’t be satisfied. Yes, they are “keeping up with the Jones'” in some respects (Google+ and Twitter), but that’s a good thing. The more pressure these companies put on each other the faster they are forced to innovate and improve their services. At the end of the day, it’s the user who benefits most from these perpetual upgrades. You may not love them all, but we’re definitely better off today then we were way back in 2006. What do you think about the new Facebook? Love it? Hate it? or meh? I would love some thoughts on this one. 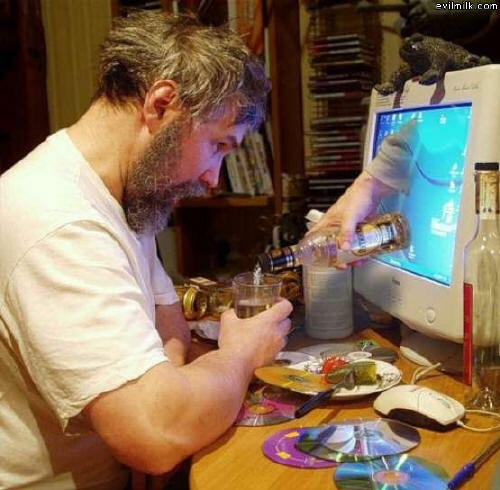 Don’t make anonymous online posts, you drunks! Do you ever get frustrated when you come across a posting that you passionately agree, or disagree, with and want to find out more about the poster, but you can’t? The problem doesn’t lie with your research skills, it lies with the fact that the post was made anonymously. Now, because that person used a pseudonym, and didn’t enter any additional information, it is almost impossible to find out more about that user to establish credibility, connect with them socially, or follow-up on other related topics. If you don’t tie your individual comments back to your own personality, it’s very difficult to establish credibility on the subject you are commenting about. Without credibility, comments and subsequent replies have the tendency to turn into a virtual bar-room shouting match rather than a productive conversation between opinion leaders, experts, industry, educators, students (I use the term students to include anybody wanting to learn more about a topic), etc. In my view, anonymous posts not only provide the ideal conditions for people to aggressively (offensively) broadcast their opinion and pick fights, but also they effectively stifle the conversation by polluting it with a lot of words with little substance. A lot of academic research was conducted around the turn of the millennium (1997-2003) on anonymous postings on the internet. Most of the research suggested that this anonymity is a good thing and should be protected – after all it was the “natural state of the internet”, they thought. But this was over a decade ago, and things have changed. The biggest change is the introduction of social networks. Many of these networks require users to provide a real name to participate (Google+) or to get the best value out of the service (Facebook). Now, the “natural state of the internet” is a place where many of our accounts are linked, creating a consistent online footprint that aggregates and tracks much of the content we have generated or interacted with. If I am intrigued by a comment you make, I can usually follow a series of links and get a general understanding of who you are, which helps contextualize your comments and posts. Another significant change is that “online worlds” and “offline worlds” are now so interconnected that they can be considered one, and not two separate places. Instead of splitting our personalities into several different performances based on work, home, family, friends, online, and offline, we are recognizing that who we are in one element of our lives should be reflected in others. Current research paints a very different picture from the research conducted just a decade ago. In a recent study from the Kellogg School of Management at Northwestern University, researchers concluded that the thrill people get when making anonymous online postings can lead to impaired judgement similar to that experienced by those who get a kick out of abusing their power or are intoxicated by alcohol. This mask of anonymity lowers the users’ inhibitions, ulitmatly encouraging them to pay less attention to social norms, and act more impulsively. These researchers stop short of saying that we should eliminate anonymous postings, but that is exactly what I’m suggesting. Let’s get rid of the option to post anonymously and ensure that all content is properly attributed to the content creator. We would then be able to view all comments, discussions, blogs, and posts in a context related to the users’ experiences, employment, education, post history, and so on. Reducing, or eliminating, these “impaired” comments would enhance our online experience. If you have an opinion you feel strongly about, why not have it attributed to you? What are you worried about? Let’s take responsibility and stand behind what we say online and offline – If you’re not willing to share your name, don’t bother sharing your opinion. Now the question is over to you.…Should we work towards eliminating anonymous postings? Or is it something that should be preserved as it is vital to your internet experience? 1. It disputed some common myths. Social media isn’t free. This is the obvious one, but it bears repeating. It also challenges the idea that “if you join a social network, people will interact with you”. In reality, it’s not the fact that you have setup a Facebook page for your business that counts; your success will ultimately depend on the type and quality of your content, along with your user benefit. 2. The puzzling gap between customer engagement and customer service. One would think if customer engagement ranks #1, customer service would be close behind. In fact, customer service is the absolute last place finisher. Customer service is one of the greatest strengths of social media, I wonder why it ranked so low in this survey. 3. The value of a friend. Finally, the numbers that really talk are the ones around the dollar value of a Facebook friend or a Twitter follower. Consistent on both platforms is the fact that customers who interact with a company in the social space are likely to spend more money on that brand. The gap is so significant that some brands post a 100%-300% jump in sales when you compare the amount spent by Facebook friends and non-friends.